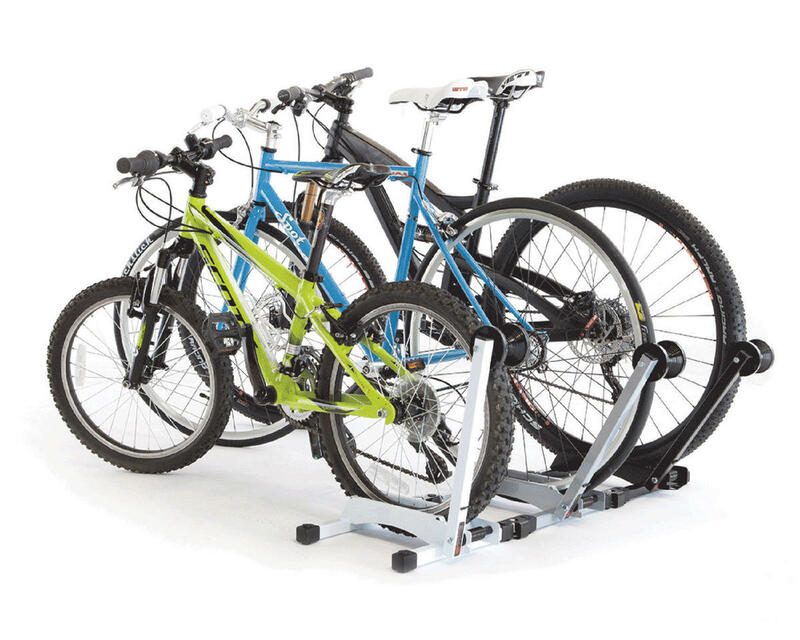 The Feedback Sports RAKK is a versatile bicycle storage solution for the home, garage, or bike shop. 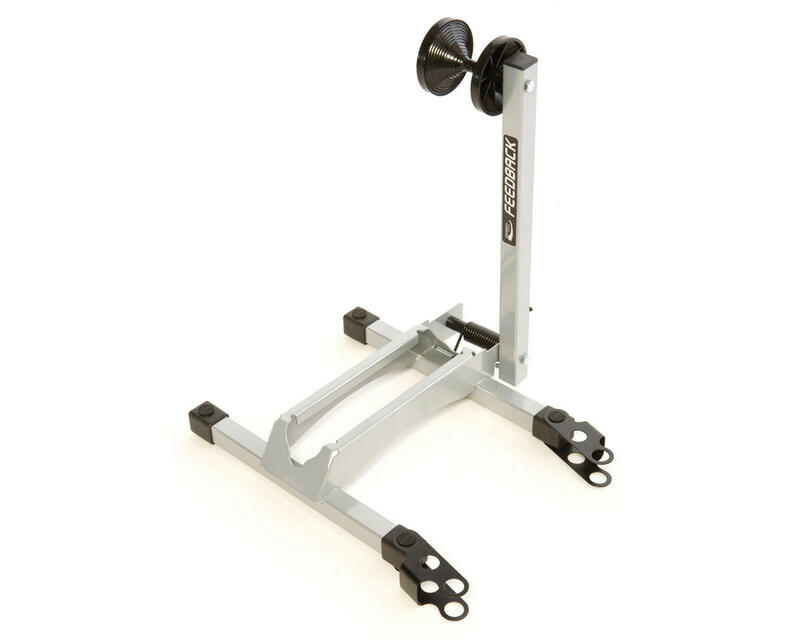 Spring loaded arm easily holds front or rear wheel without the risk of scratching rim or spokes. The Rakk can also be chained together to easily create multiple bike storage and maximize floor space.